Mr. Rabbit: [with Carrie and Lucas holding him at gunpoint] There's a part of you that always knows it will end like this. Bullets and tears. Yet you keep telling yourself you will find a way out. But there is no way out, because of who you are. FIRST, as a free-standing episode: Looked at this way, even though it is technically a "season finale" (which means that the producers have more creative room, more wiggle room) Episode 10 of Season 2 will most likely be remembered as a "FFO" or "For Fans Only" episode. It is uniquely for those who love the series, understand the characters, and just like to hang out with these people for a while. It is a slow-starter. The writers -- some of the best in the biz in my view -- have a weakness for flashbacks or "origins." Maybe they are hanging out with the crew from ARROW - who knows? But a lot of the shooting (with both guns and cameras) takes place in the past. That is something not common to the series proper (unless you are also a fan of BANSHEE ORIGINS) so it is a little disconcerting. * the action scenes and gunfights are not just good, they are perfect. As a fan, I am used to this, and take it for granted. If you are new to the series, you will be gob-smacked. TAKE THAT, SAM Peckinpah! TAKE THAT, WACHOWSKI BROTHERS! TAKE THAT CHARLIES ANGELS! The transition from sultry and smooth to fast and bloody is as good as or better than anything you can find on the big screen these days. Wow. * the women remain stunning. 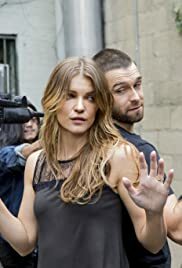 I understand this comment may sound odd given that Hollywood likes to cast beautiful women in all its series, without discriminating, but somehow Banshee has hit a new high here. Finally I want to share a notion that kept popping into my head as I watched. 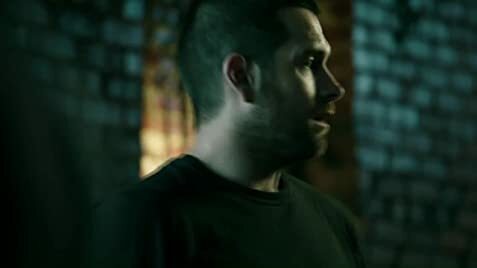 As good as this was (and it was), I could not help but notice that the drama had more impact when the characters were on their home turf -- in other words, back in Banshee. My take on this is that the ever-clever Producers stumbled on something deep and iconic in all of us -- namely, that, away from home, we can be whomever we wish to be, but at home we can only be ourselves.